In my London Eats World series I'm on a mission to eat around the world without leaving London and this week it's England. Okay, I admit this one is easy, but I have to start somewhere on my culinary world tour of London. 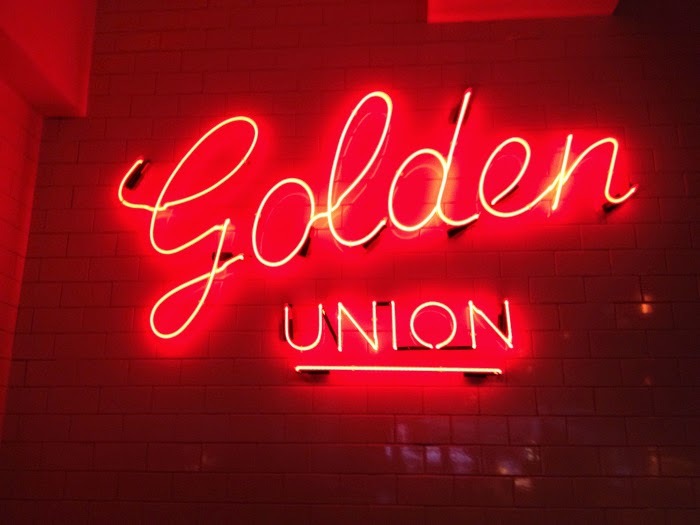 I picked the Golden Union Fish on Poland Street in Soho, just because it is a bit hipper than the chippie around the corner here in Battersea. 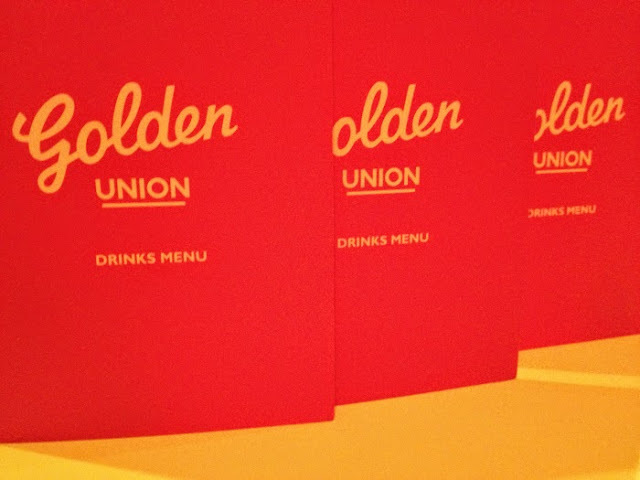 The Golden Union has got a cool vibe although there were more tourists than Londoners, but hey, they've got to eat too. There are a few tables strewn about, but take away is an option as well from the counter at the front. The decor reminded me a bit of an American greasy spoon, with neon lights on the wall and a cool white tiled wall that spelled out FISH. In case you might forget why you're here. The menu features a range of different battered fish as well as other options for veggies and meat lovers. Although not sure why you would go here if you fall in that category. 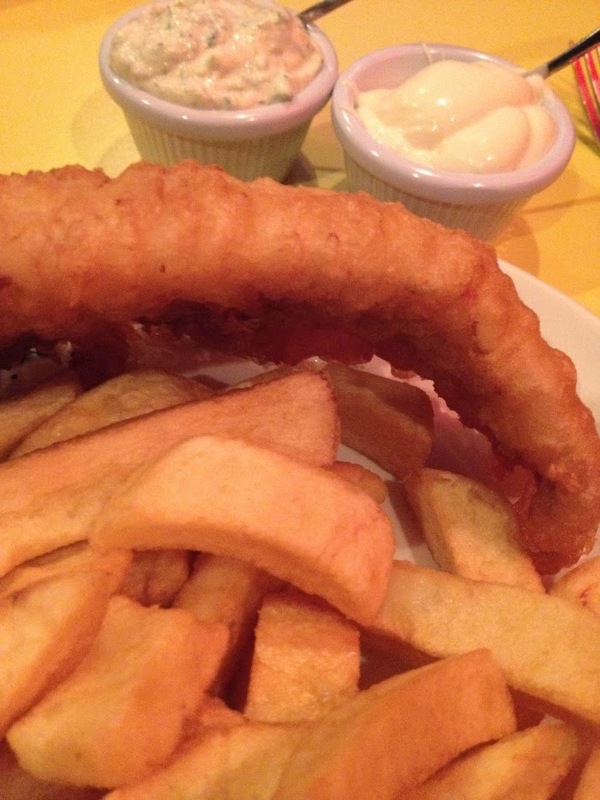 My friend and I both went for the battered pollock and chips with some tartar sauce. (none of that horrid vinegar on my chips...) The fish tasted good and the chips were not too shabby, but my portion could've fed two people at least. 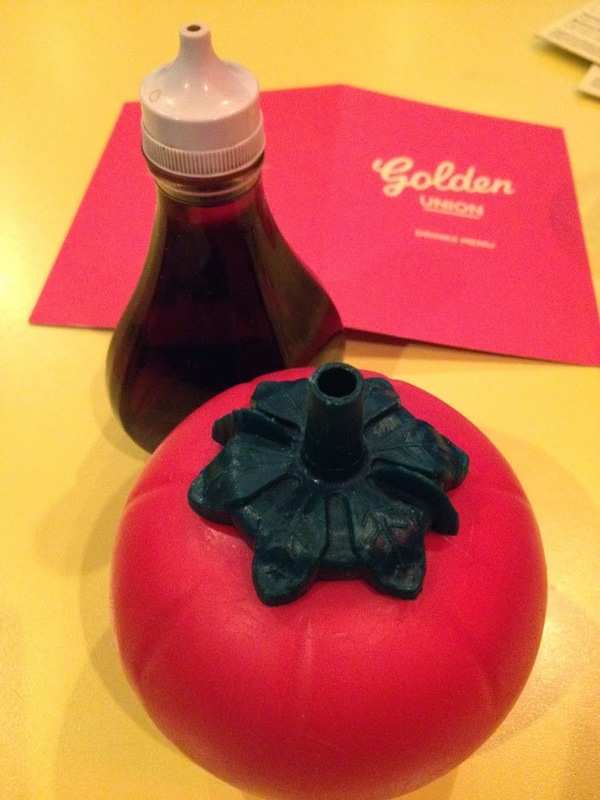 Service was swift, food was good, drinks chilled and the atmosphere cosy. One chippie to come back to. Check out the Golden Union website.